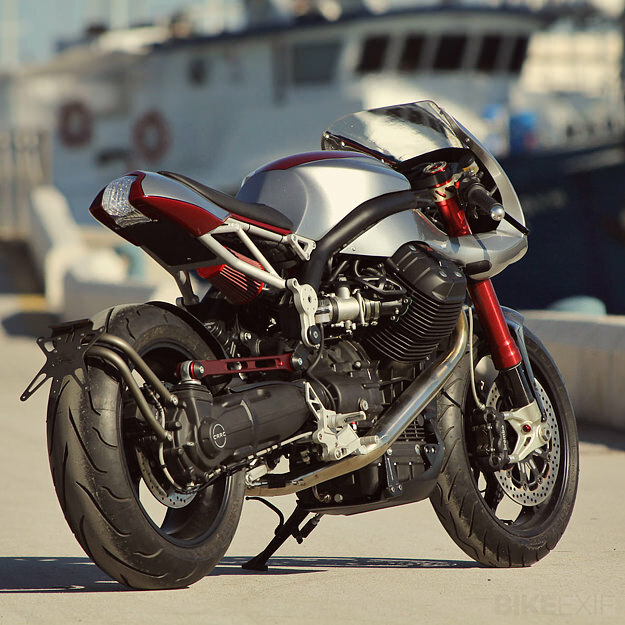 Extrememoto Blog | For the moto-lover in you. Shoei’s all-new GT-Air makes it easier to adapt to the ever-changing conditions that lie ahead. Features like the convenient flip-down internal sun shield, free-flowing yet easily adjustable ventilation system, superior aerodynamics, and Pinlock Anti-Fog System ensure greater comfort and thus more time in the saddle than ever before. We’re ready for 2012’s final giveaway and it’s a good one. This time we are giving away TWO jackets. Get ready ladies, this time there’s one for you as well. Click here or visit this link to enter: http://a.pgtb.me/ZVVxtt. As always, we love it when previous winners share pictures with their prizes. Check out last month’s winner, Ronald, enjoying his new Tourmaster jacket in the picture below. 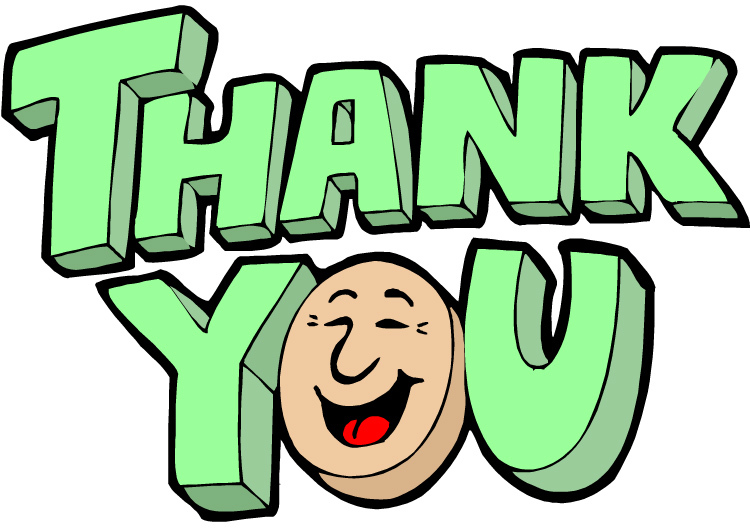 As 2012 comes to a close, we would like to thank all of you for supporting us throughout the years. 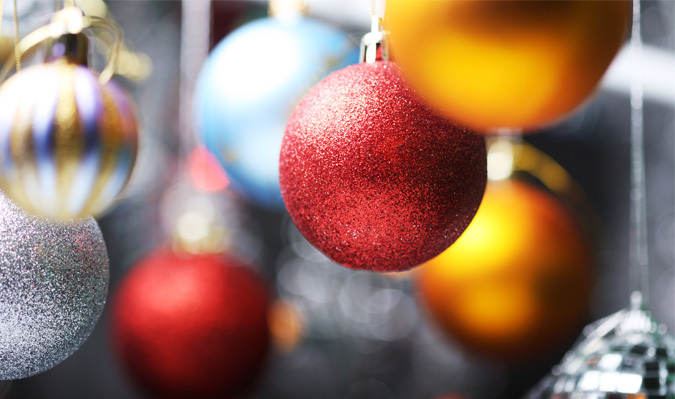 We hope you and your family have a fantastic holiday season along with a healthy and prosperous 2013. The holidays are around the corner and the weather is becoming fantastic. One of the best times of year to go out riding, for sure. Since most of you are taking advantage before the heavy winter hits, we thought another Tourmaster jacket would be a great item to give away. Click on the image above or copy and paste this link to your browser: http://a.pgtb.me/tZffv9 to enter this month’s raffle. Good luck and happy riding! This jacket could be yours! Click on the image to enter the drawing. We have a great giveaway for all of you this month and it’s just in time for the cold weather. This month we’ve decided to raffle off a brand new Tourmaster Jacket. In order to enter the contest simply click here or copy and paste this link to your browser: http://a.pgtb.me/c5xqWv. Like our Facebook page and fill out the entry form. All entries must be in by 11:59 p.m. EST on 10/31/12. A winner will be contacted via email on 11/1/12. It’s time for our September helmet giveaway! 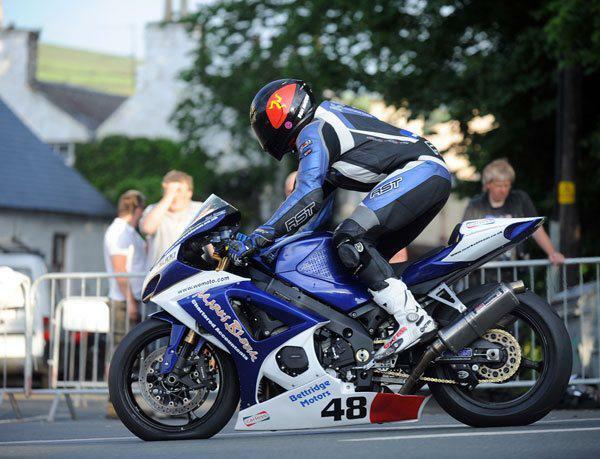 We had such a fantastic response last month that we’ve decided to raffle another SPARX helmet. In order to enter the contest, simply click here or visit this link: http://a.pgtb.me/h9sjr0. Like our Facebook page and fill out the entry form. All entries must be in by 11:59 p.m. on 9/30/12 and a winner will be contacted on 10/1/12 via email. A perfect match! — Picture courtesy of Adam Touchette. As you know, we normally don’t shamelessly plug ourselves but we have to make an exception this time around. 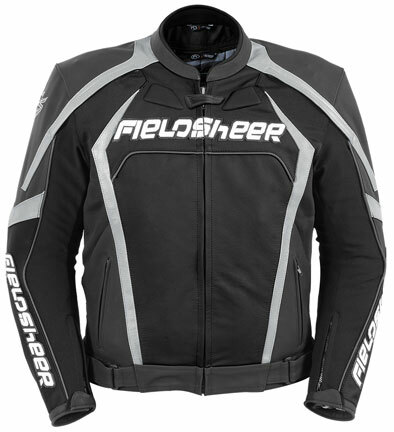 We are well into riding season and motorcyclists everywhere are enjoying the feel of their new gear. 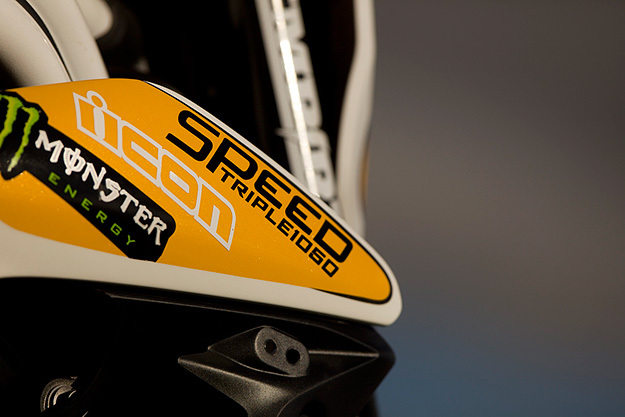 One item which has stood out in the last month or so has been the Shoei Qwest helmet. It is no surprise that most of you have opted to upgrade to this helmet with its advanced ventilation performance and long-distance comfort. Noise reduction technology has been significantly upgraded as well so it’s an easy transition from your previous hat. If you are in the market for a new helmet, we highly recommend giving the Qwest a try. We have a large selection of color combinations available at Extrememoto.com. If you have any questions or comments, drop us a line below or visit our Facebook and Twitter. 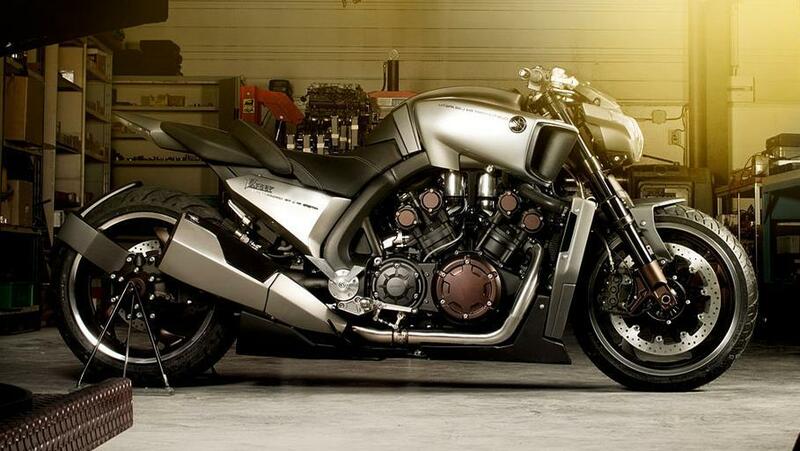 The Crux is currently Yamaha’s least expensive motorcycle at approximately $650. Don’t go running to your wallets just yet, though. The Crux is strictly for the Indian market. 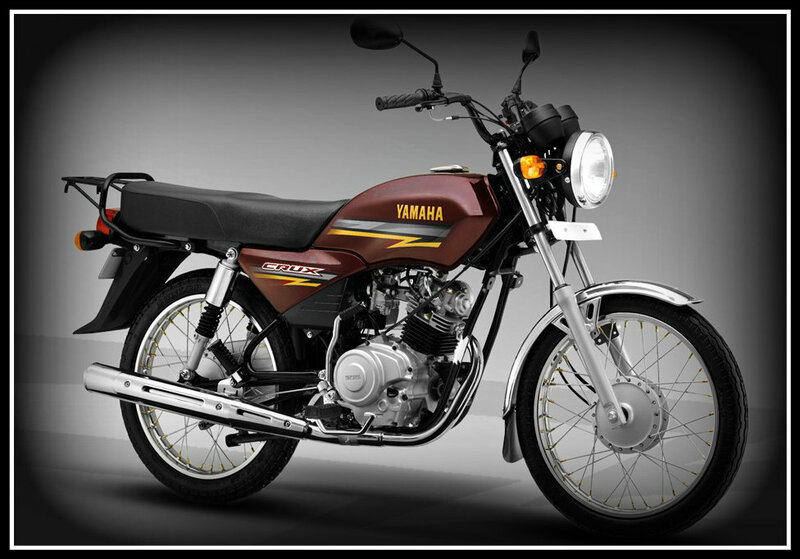 New reports show that Yamaha will be supplying the Indian market with an even cheaper model priced at $500. 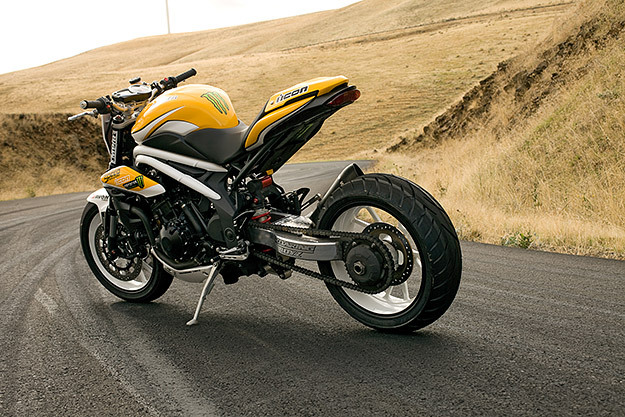 With a very heated low-priced-motorcycle-war going on in the region, this could be a huge gain for Yamaha. 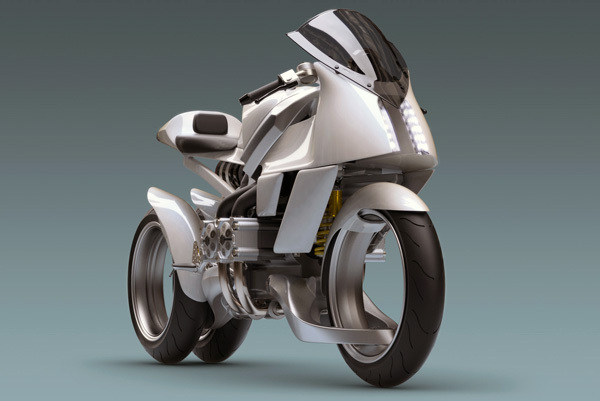 Details haven’t been released yet but we know it would be the cheapest Japanese manufactured motorcycle in that market. 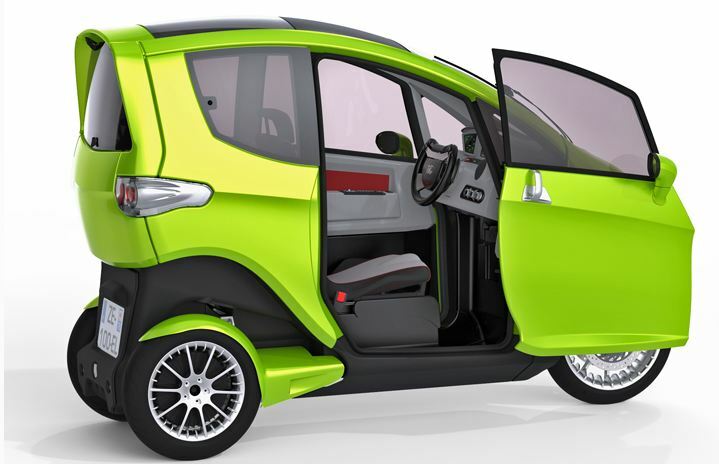 Assumptions are that an engine in the 100cc range will be utilized. 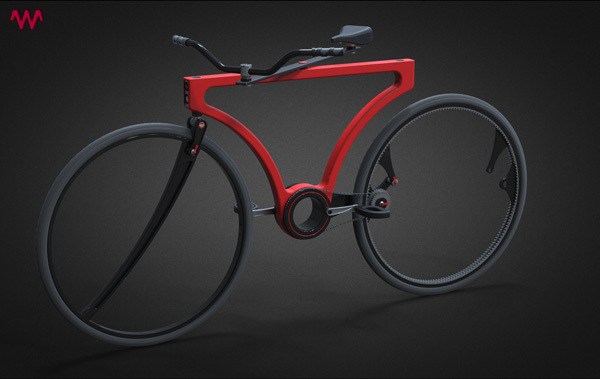 Would you like to see bikes like these in production for the US market? Let us know by commenting below or by joining the conversation on our Facebook and Twitter pages. 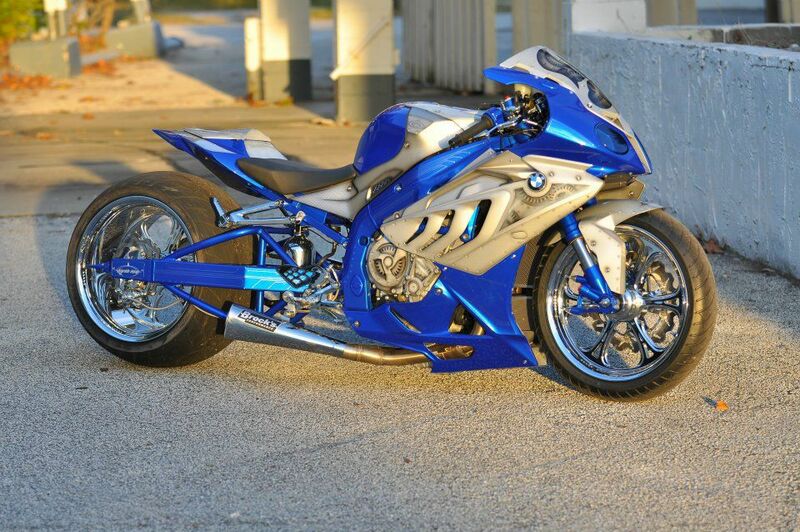 Any GSX riders out there? If you happen to purchase a new 2012 model, here is some important recall information. Suzuki has recently identified an issue with loose bolts on some 2012 models which may cause the side stand interlock switch to fail. On the GSX-R1000 models, failure of this switch will terminate the ignition circuit. 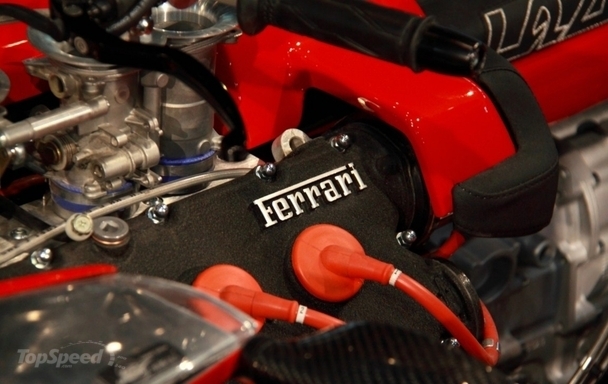 As a result, the engine will stop running, which obviously will increase the risk of a crash. Suzuki reports that it will notify owners and dealers will be replacing the side stand interlock bolts, free of charge. 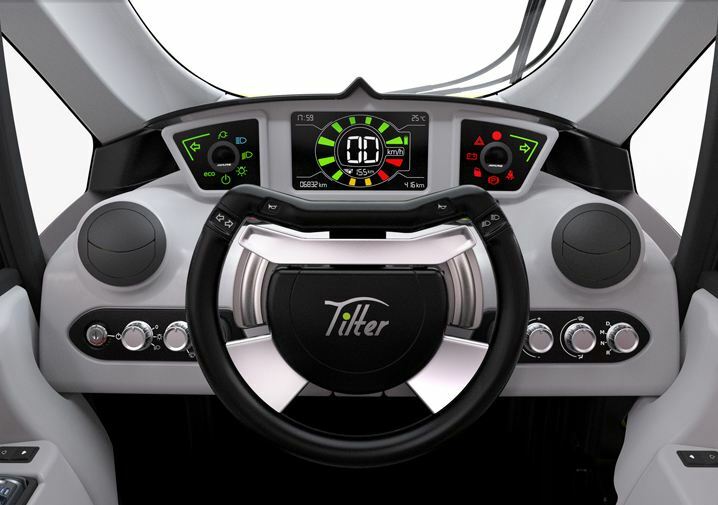 The safety recall is expected to begin before the end of June 2012. 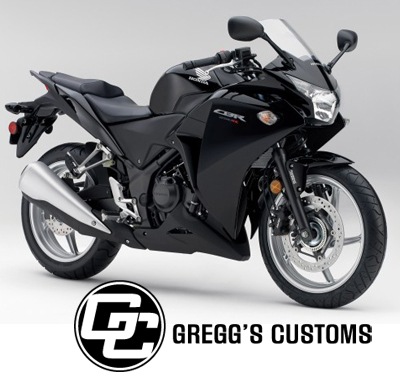 If you own a GSX-R1000 and would like to find out more information about this recall, you may contact Suzuki at (714) 966-7040. The recall campaign number is 2A29. You can also get additional information by contacting the National Highway Traffic Safety Administration’s vehicle safety hotline at (888) 327-4236. We hope this helps! Keep us posted on any new developments by commenting below or by joining the conversation on our Facebook and Twitter pages. 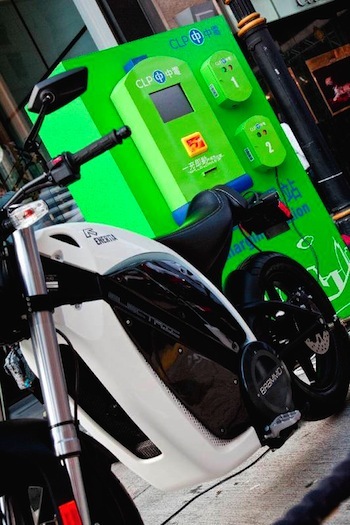 At the beginning of the month we shared a story on how Hong Kong is going electric. 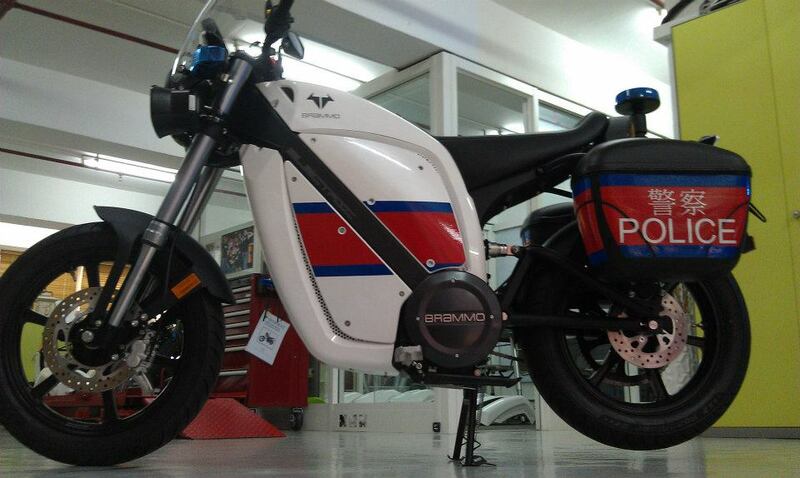 Now we’re following up with some fantastic pictures of their new Brammo police bikes. Check them out and tell us what you think by commenting below or join the conversation on Facebook and Twitter. With Father’s Day just around the corner, we thought we would put together a few ideas to make that hog-loving man happy on his special day. Here are a few helmets and accessories which will definitely bring a smile to his face. Tell us what you’re getting dad by commenting below or joining the conversation on our Facebook or Twitter pages. Where are you riding to this summer? Summer is in full bloom, which means we’re taking advantage and hitting the road as much as possible. 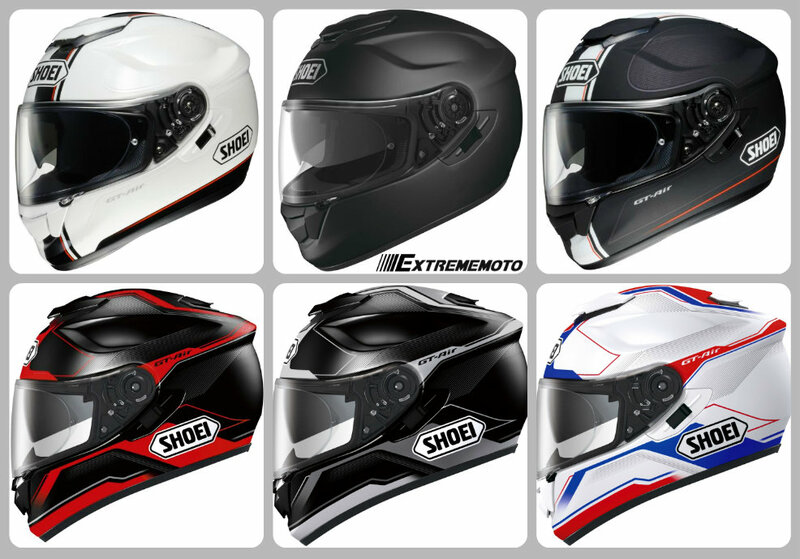 We carry lots of quality products at Extrememoto, but since we had such a fantastic response to Shoei’s recent promotion, we thought it would be a great idea to show you some of their new styles. Visit our Shoei website page and view their new color options and added inventory. If you have any questions, post your comments below and join the conversation on our Facebook and Twitter pages. Enjoy the ride and keep it safe! 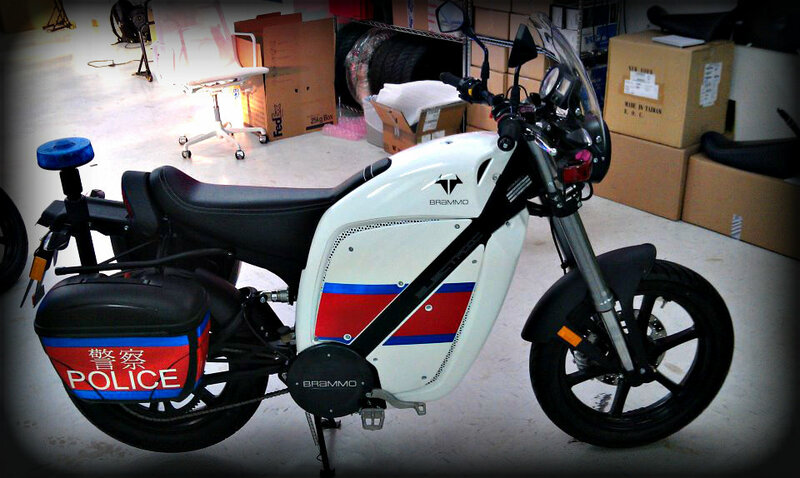 Brammo bike at a charging station. Before we give you some of these numbers, keep in mind that Hong Kong is only 426 square miles in total. 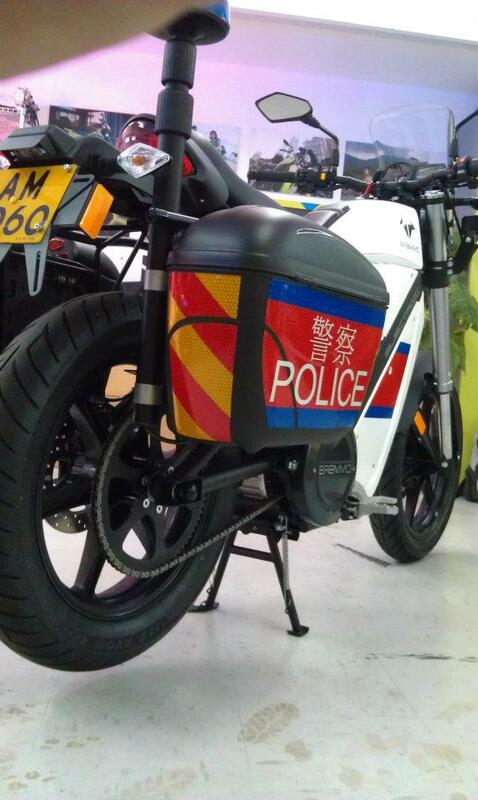 With that said, Hong Kong has recently upped it’s game when it comes to electric vehicles and charging stations. 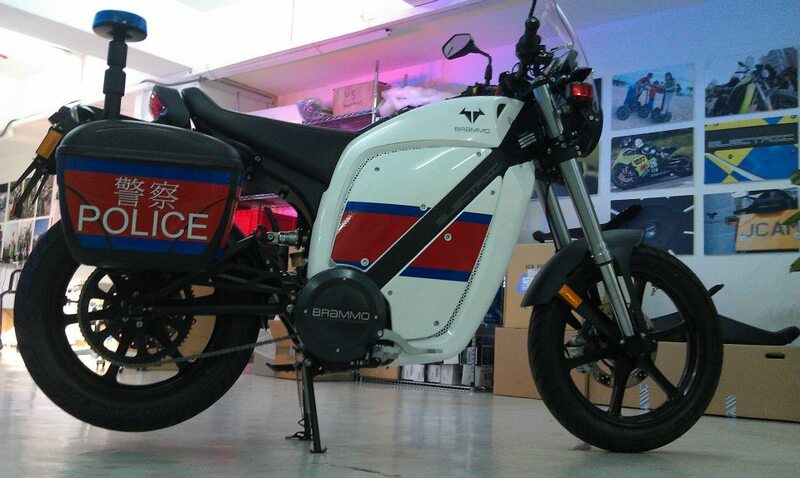 Brammo is one the first companies to take advantage of this movement and has already sold a number of bikes to their police force. The number of EV’s (Electric Vehicles) being sold in the country has grown as well. This is surprising considering the size of the territory. 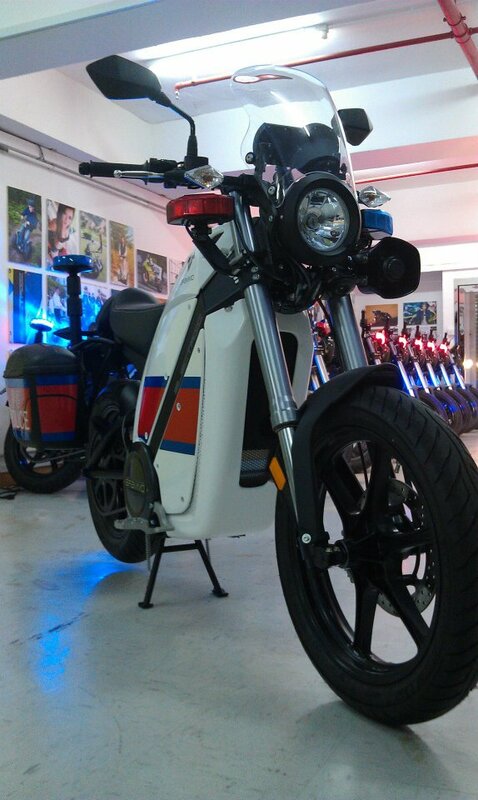 There are currently 310 EV’s riding around in Hong Kong. Just a year ago there was only 74. The government has 33 EV’s with another 43 arriving in the coming months. They will also be ordering another 140 by the end of the year. A few private companies along with the government had already installed 500 charging stations and there will be 1000 by the end of June. This is a very big move for the country and it’s effort to reduce pollution levels. We’re excited about the EV movement and look forward to big changes like these to be implemented in more areas around the United States. How do you feel about EV’s? Comment below with your thoughts or join the conversation on our Facebook and Twitter pages. 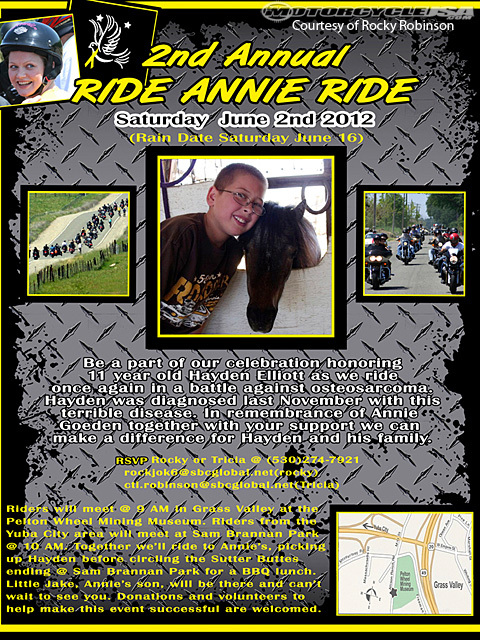 Ride Annie Ride is an event dedicated to Annie Goeden, a victim of Osteosarcoma (bone cancer). 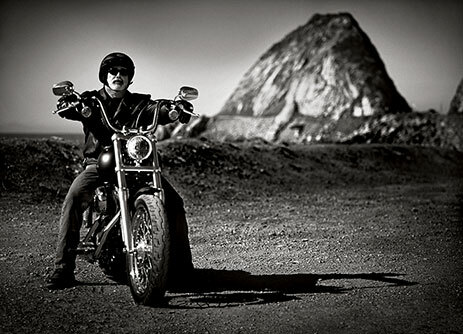 The event was put together so Annie could enjoy a day of riding on the back of a Harley-Davidson. There was a huge turnout for the event and Annie was overwhelmed with joy. Unfortunately, Annie is no longer with us and this year’s event is dedicated to, Hayden Elliott (son of Megan Handy Tenaglio), who has the same horrible disease. If you would like to participate in this year’s event, take a look at the flyer below or visit the Facebook event to get started. Get out there and do you what enjoy doing most while helping a family in need. 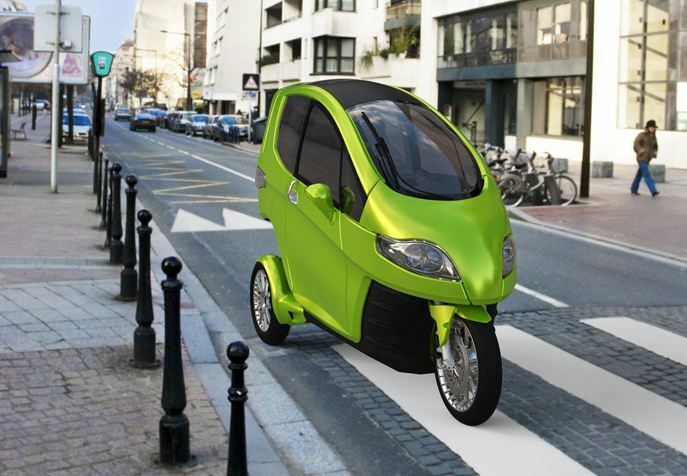 Smart Car recently announced a plan to release an electric scooter in 2014. 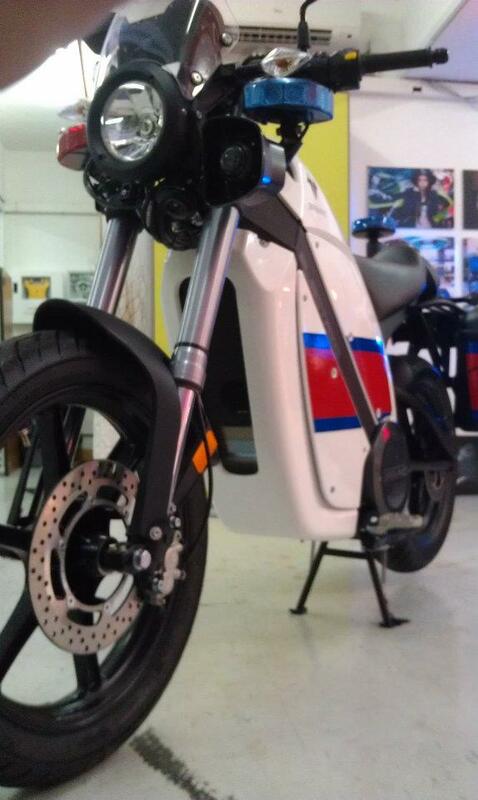 The electric scooter was originally unveiled in 2010 along with a plan for a Smart eBike. 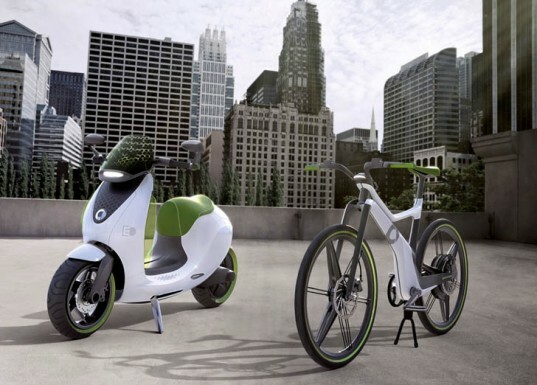 The electric versions of the ForTwo will launch this summer and delivery of the Smart eBikes is getting started soon. We are excited to see the reaction consumers will have to these products. 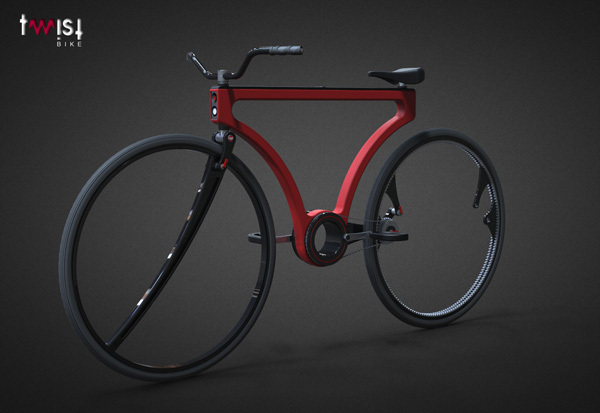 Do you think you’ll be riding one of these soon? Post your comments below or join our conversation on Facebook and Twitter. 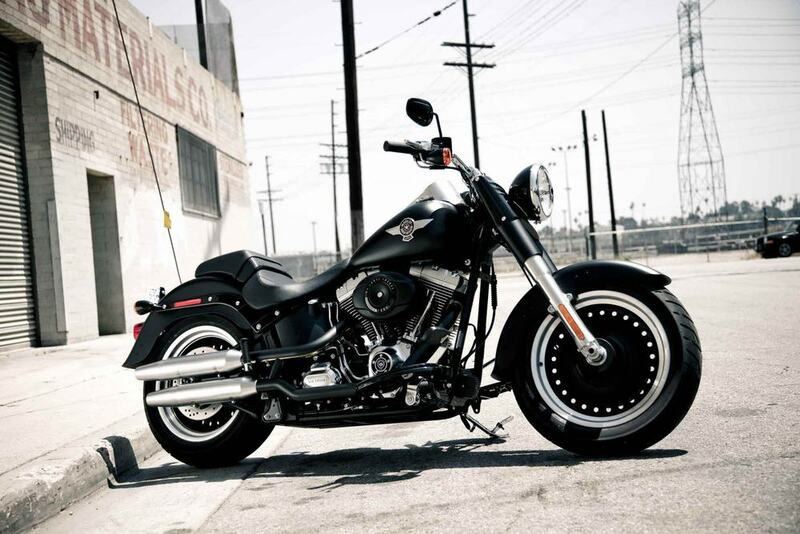 Harley-Davidson reported a stronger that expected rise in quarterly profits. 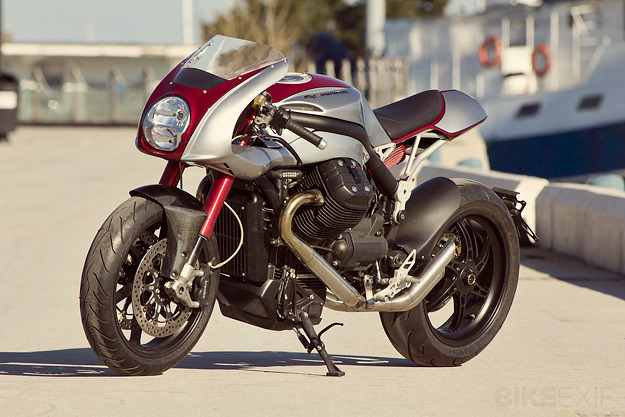 The company reports that a younger audience has embraced their brand and that they expect to ship more motorcycles this year than they expected in January. Net earnings rose to $172 million from $119 million a year ago. Product sales jumped 20% to $1.27 billion. 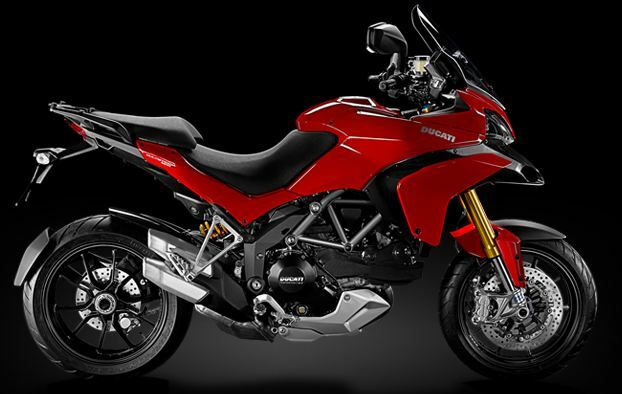 245,000 to 250,000 motorcycles are expected to ship worldwide. This is great news for Harley. Will you be purchasing one this year? See You Around, Willie G.
No matter the type of bike you prefer, all riders have some type of connection to Harley-Davidson. 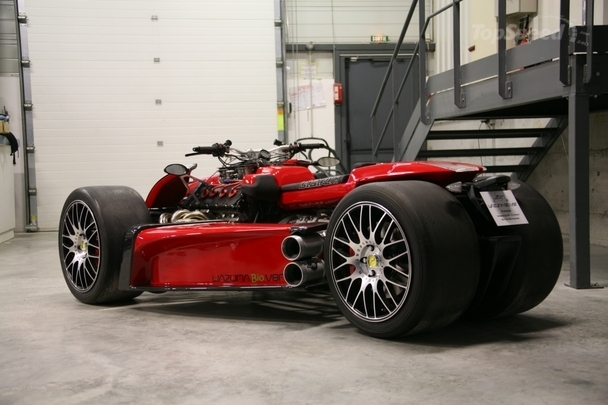 Whether a family tradition or a brand new hobby, the sound of that engine has always been a head-turner for all of us. After 50 years of unforgettable designs, the creative genius behind them has finally called it quits. 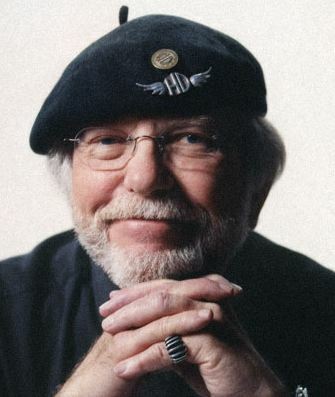 This past Monday, Willie G. Davidson retired from Harley. 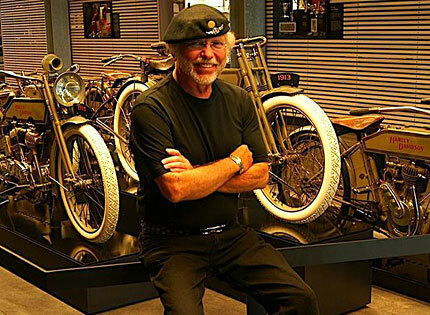 Aside from many others, Willie G. is responsible for designs like the Fatboy, Super Glide, Low Rider and Street Glide. When asked if he still had any projects in the works, he confirmed but did not provide any details. At least there will be a couple more gems with Willie G.’s influence. 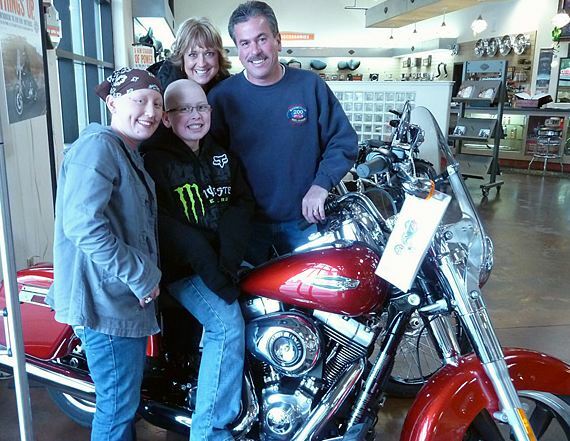 It’s time for Ride for Kids again and this year there is a drawing for two great custom bikes. 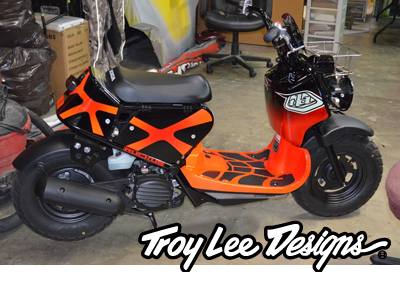 There is a Honda CBR250R with custom work by Gregg DesJardins and a Honda Rockus scooter customized by Troy Lee. Obviously, this event is all about the kids, but it doesn’t hurt to have the opportunity to win one of these bikes. In order to enter the drawing, simply make a donation online. Tickets are $5 a piece. 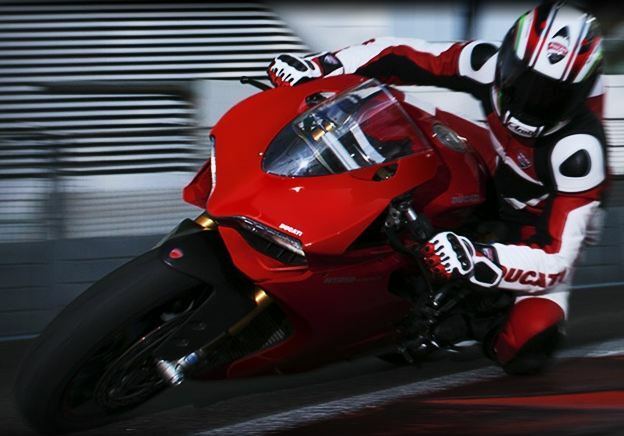 VIP Experience packages to the World Superbike Utah USA round await the winners and are provided by Miller Motorsports Park. For more information, click here. We hope all of you will participate and wish you the best of luck! We are very excited to announce a new promotion from Shoei which will earn you a free shield. With a retail value of $52.95, this is an opportunity to take advantage of. The details of the promotion and the form to fill out can be found here. We have also added images with links to all the helmets included in this offer. See one you like? Click the image and you will be redirected to our product page. Promotion lasts from April 12, 2012 to May 31, 2012. If you have any questions, feel free to post your comments below, ask us on Facebook or message us on Twitter. Spring is here and summer is so very close. For us, that just means more time to ride. We’ve restocked and added new products to our Arai line and wanted to share them with you. Visit our website here, and take a peek. We want to know what you think, so post your comments below or visit our Facebook and Twitter pages to join the conversation. Jose Hurtado’s hubless twist bike is definitely a site to see. 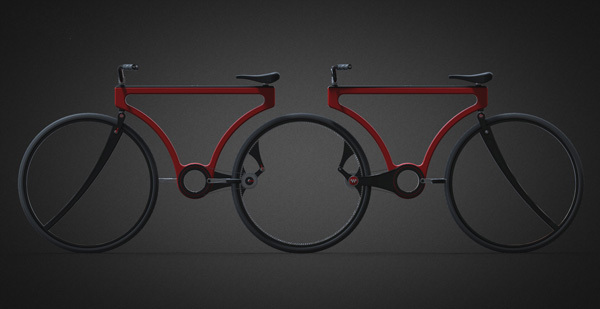 Not only is it extremely cool looking, but it can also be attached to another one to make it a tandem. Not sure if any of you have ridden a tandem bike before but it’s a lot of fun. Working together with the other rider, or not, is half the fun. Take a look at some of the images below so you get a better picture of how the technology works. It’s really simple and incredibly detailed. So simple and effective. Why didn't we think of this? 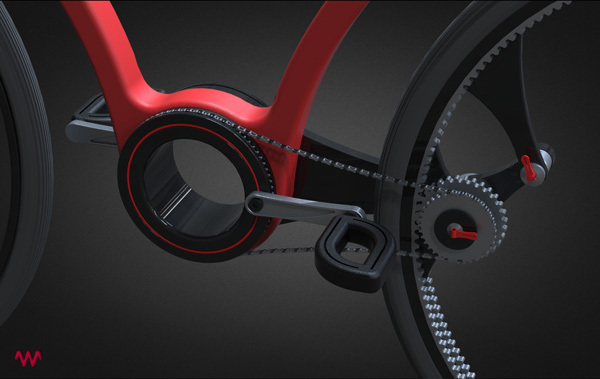 The twisting seat lets you face either side and locks at the frame. One of the toughest brands around. If you have any questions regarding this product, leave a comment below or visit us on Facebook and Twitter for more details. Check out the filter placement. 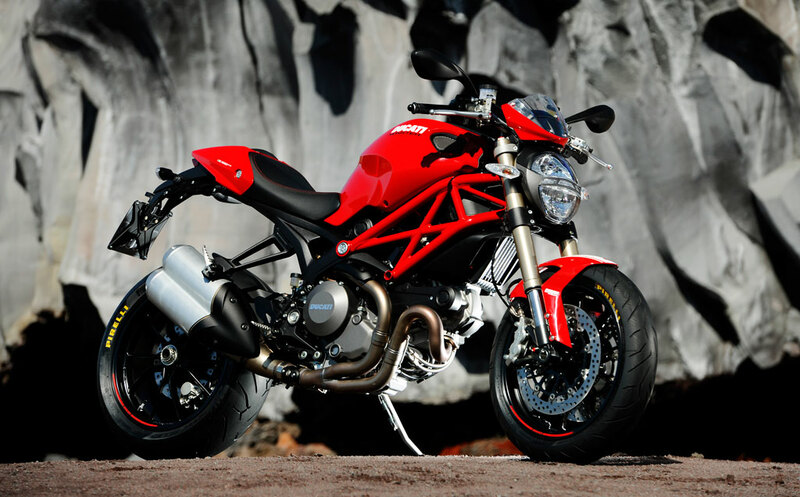 Ducati is recalling the 2011-2012 Monster 1100 EVO due to cracks on the real wheel spokes. 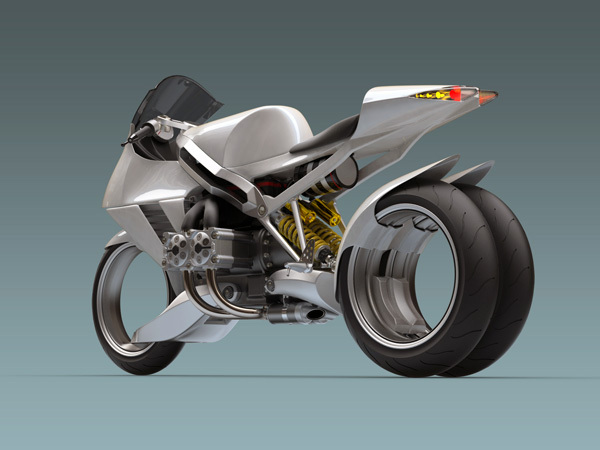 While developing a different model late last year, engineers discovered the issue on a bike which used a similar wheel design. The affected wheels are labeled “DU6-RR”. 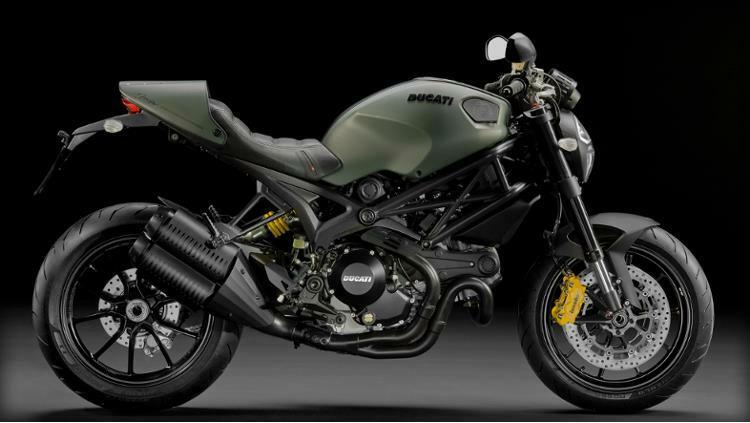 The Monster 1100 EVO test units were then examined and Ducati discovered a 26,888 mile unit with cracks on two spokes. 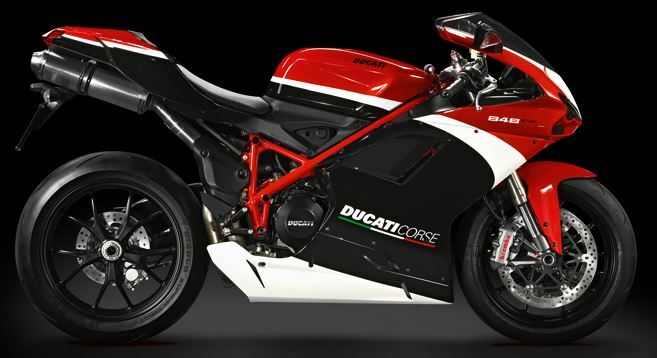 Ducati has since designed a new wheel with Enkei Thai labeled DU6N-RR. 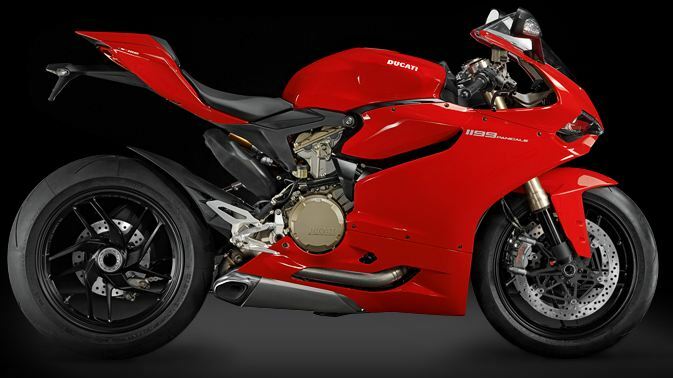 All Ducati dealers will replace the rear wheels on affected units free of charge. 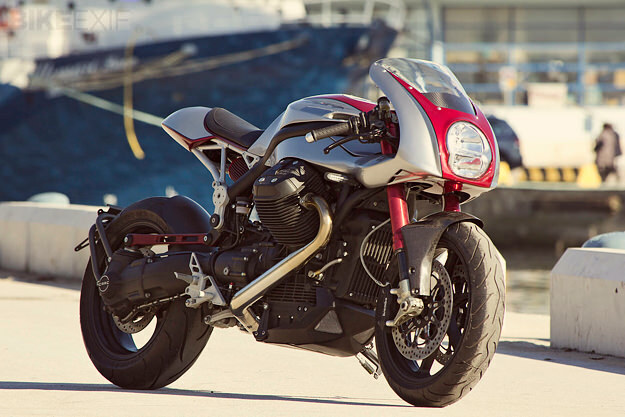 Victory Motorcycles recently released their event schedule for Daytona Bike Week and it includes a full week of complimentary demo rides at the Daytona International Speedway, March 10-17. 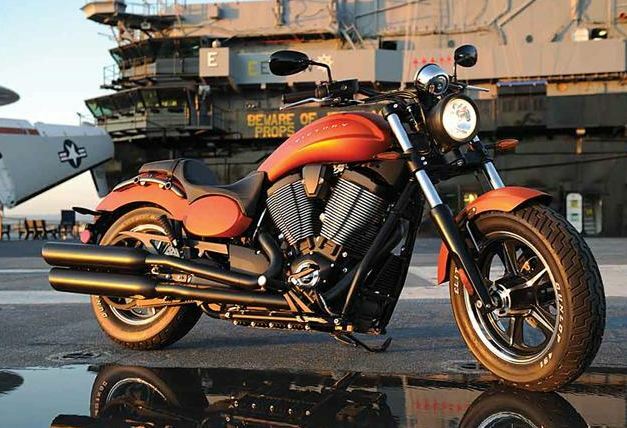 The new Victory Judge will be available along with the complete 2012 lineup. There will be a camera crew taking pictures of all the demo rides so you can download them and have a cool souvenir of your experience. Victory demo rides at Daytona International Speedway. Victory bike night with live music by Big Engine at Dirty Harry’s Bar. 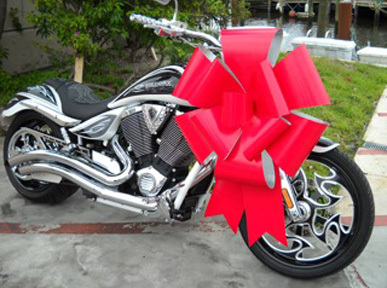 March 14, Registration starts at 2 p.m., Judging at 3 p.m.
Third annual Victory Custom Bike Show at Volusia Motorsports. 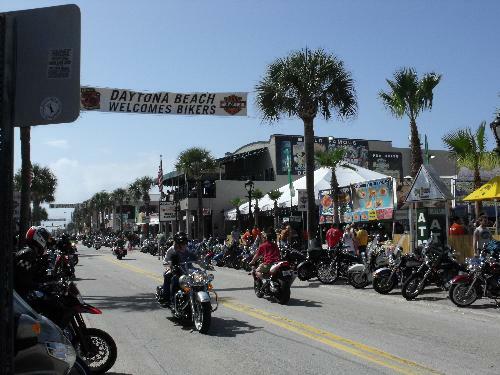 March 15, starting at 7 p.m.
Biker Fusion VIP / charity event at the Dog House on Main Street in Daytona. Autograph session with “The Gunny” at the Victory Demo Ride site, Daytona International Speedway. March 16, Meet between 8-10 a.m.; Kickstands up at 10 a.m. Victory Owners Pre-Party & Ride with Zach Ness at Volusia Motorsports. Ride ends at Hailfax. Victory Owners Luncheon at the Blue Grotto, Hailfax Harbor Marina. We would love to hear about your experience at the show. Feel free to post pictures of your experience on our Facebook page and comment below to let us know if you had a good time. Enjoy! Yesterday, on Facebook, Twitter and LinkedIn we announced a new product release for today. Here it is. Are you into modular helmets or do you prefer another style? Post your comments below. 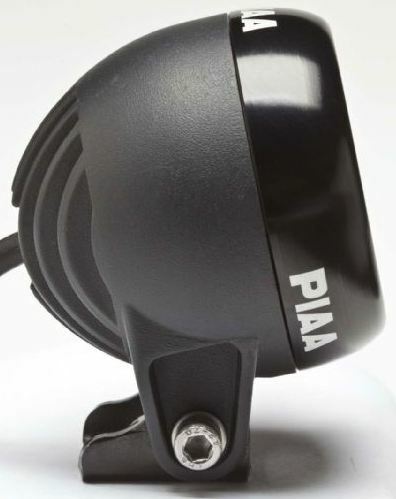 PIAA has been providing drivers and riders alike with exceptional road visibility for many years. 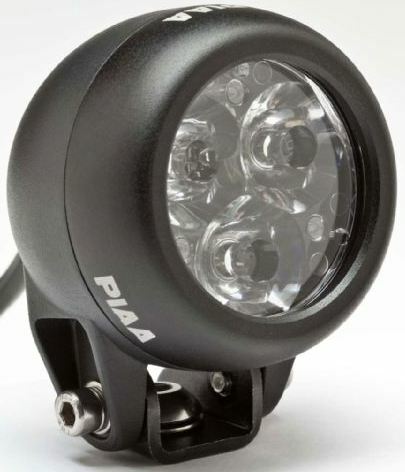 Recently, the company has released their new 1100LED for motorcyclists. These lamps are by far one of the best in the market. They are equipped with 3-mm high-impact clear glass lenses which illuminate the road with a bluish-white color (6300 Kelvin) that is the closest yet to sunlight. 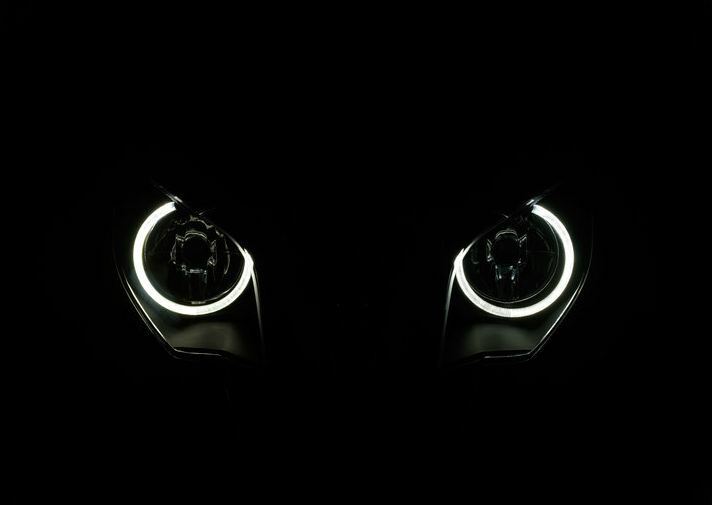 Emitting light in a symmetrical pattern, the 1100 ensures the rider with no loss of visibility when leaning into a turn. Each lamp comes with three, 4 watt high-output LED bulbs which only require one amp per light at 12 volts. The 1100LED also draws significantly less power than H.I.D. or halogen lamps. CNC machined die-cast aluminum front and rear housings protect the lamp for any challenges the road provides. 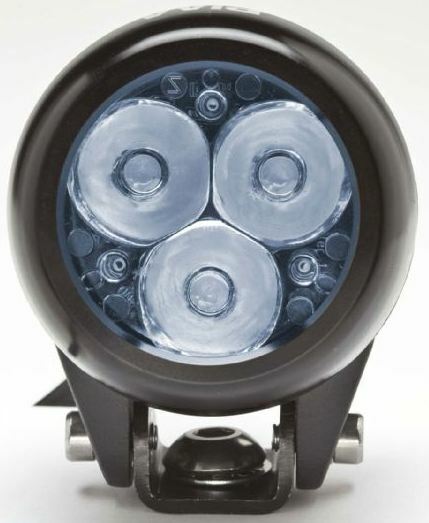 We were really impressed when we saw the specs of these lamps and highly recommend them to any of you who are looking for really powerful and dependable aftermarket replacements. 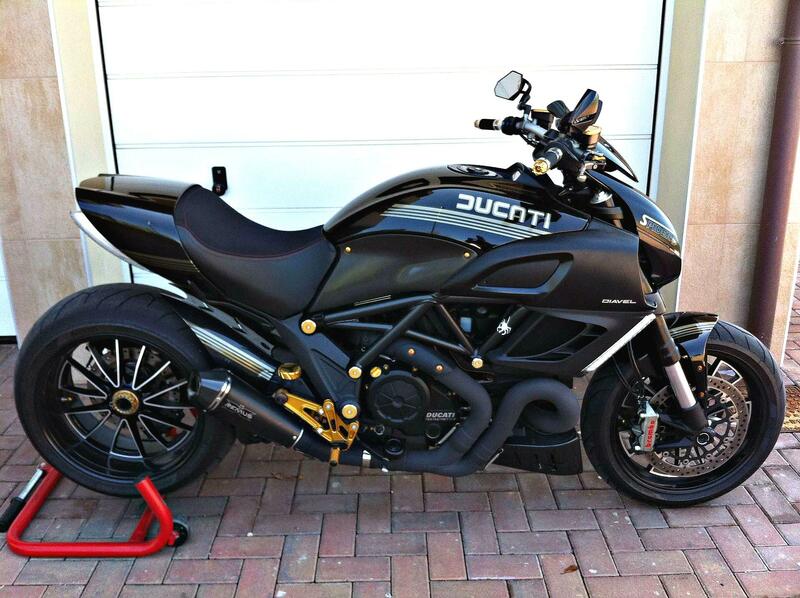 If any of you happen to have these installed, we would love for you to share some images of your bikes. Feel free to post comments below or upload images to our Facebook page. 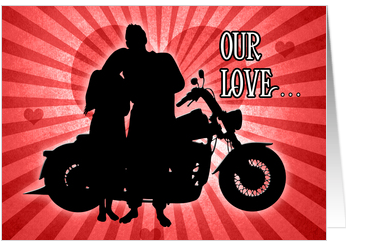 With Valentine’s Day only four days away, we thought it would be a great idea to put together a quick shopping guide for easier access to specific gear on Extrememoto.com. Below you will find direct links to Shoei helmets, HJC helmets, Sparx helmets, gloves, shields, pants, jackets and boot covers. We hope this helps your purchasing experience. Questions? Comment below or post directly on our Facebook and we’ll respond ASAP. Enjoy and happy Friday! Alright bikers, it’s that time of year again. 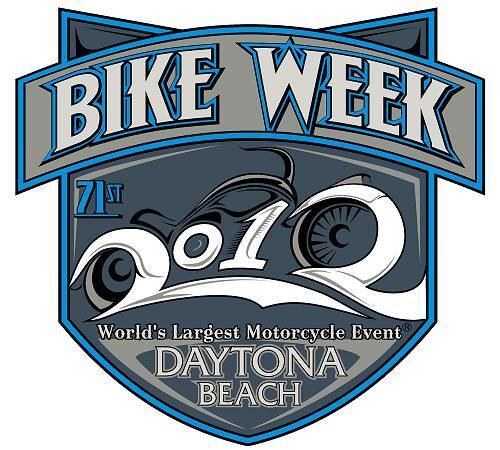 In about one month, possibly the largest bike event will be taking place in Daytona Beach, Florida. If you have never attended, it contends with the Sturgis Motorcycle Rally as one of the biggest motorcycle events in the country. Over 500,000 bikers are expected for the week long event. There will be races, concerts, parties and street festivals with plenty of food. The event will take place March 9, 2012 through March 18, 2012. If you attend, we would love it if you posted comments below or images to our Facebook page. A view from the 2011 event. 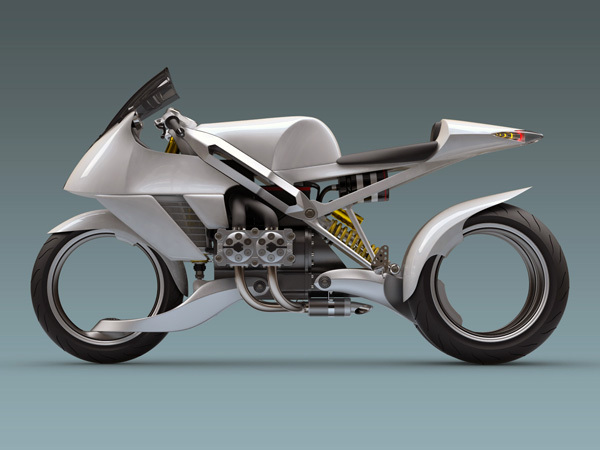 It’s been a while since we posted about new electric bikes so we’re starting off 2012 with one of the brightest looking companies in the industry, Zero Motorcycles. A recent report by Pike Research shows that Zero Motorcycles is one of the better positioned companies in the market to take advantage of this new age demand. Pike’s report is based on 12 different points. 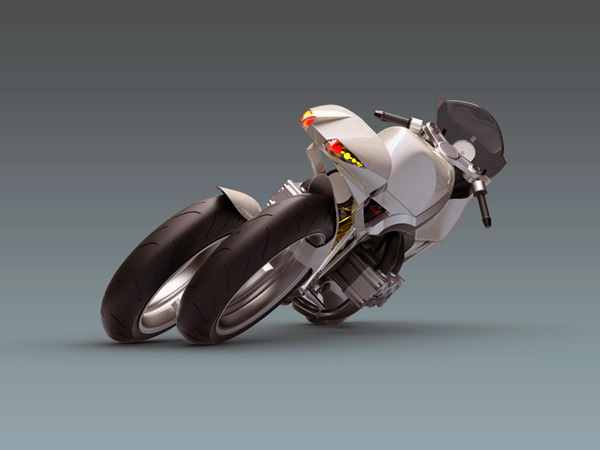 Zero understands that electric motorcycles should vary in styles and that there are several types of riders who are interested in this technology. This is why they have a full product line of street, dirt and dual sport bikes. We are excited to see how Zero impacts the market in 2012. Do you consider yourself a smart online shopper? There are many trusted websites which offer great shopping tools to help you find exactly what you need in an aggregated manner. We wanted to let all of you know that our products can also be found on sites like Amazon, Google and TheFind. These sites carry thousands of different products for you to look through. We hope that this helps you shop smarter and provides you with a new avenue to locate all your motorcycle needs. We’ve added hyperlinks in the name of each search engine to direct you to our storefronts on the respected sites. Simply click on the website name or the images to be redirected. Post any questions or comments in the area below or visit our Facebook page and write us a message. All of us at Extrememoto wanted to wish you and your family a fantastic new year. This year would not be possible if it wasn’t for all of you and we wanted to send out a big THANK YOU for your support. 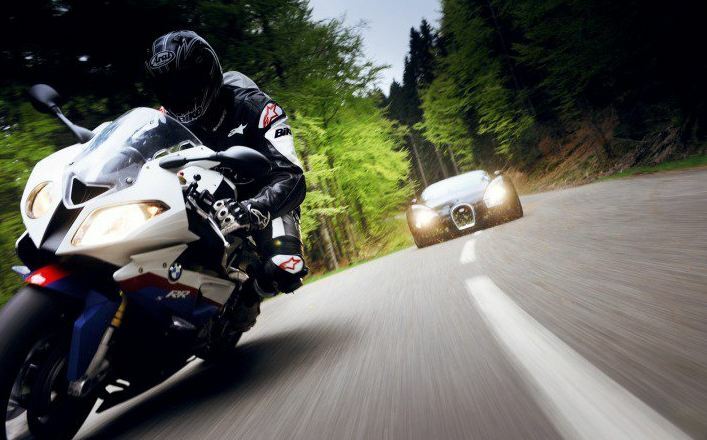 We look forward to continue providing you with top notch customer service and the best motorcycle gear on the planet in 2012. Take advantage of coupon code HNY2012 and save 10% store wide. ...for being the best fans we could ask for. Happy Holidays from the Extrememoto family. 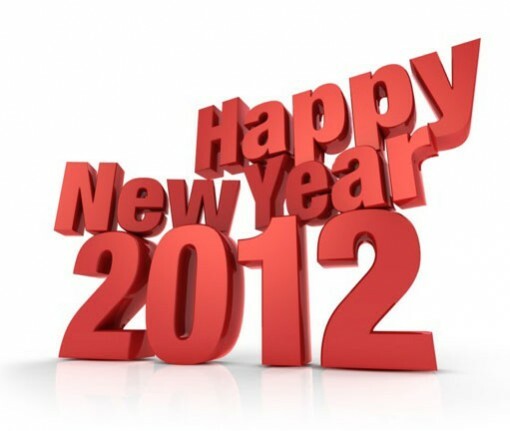 We just wanted to stop by and thank you, our clients and family, for a wonderful 2011. You guys have made it a fantastic year and we can’t wait to get started with 2012. Wishing all of you the best during this holiday season. Yesterday’s blog post featured one of the sickest short movies we’ve seen of a car and a motorcycle engaged in a drift battle. 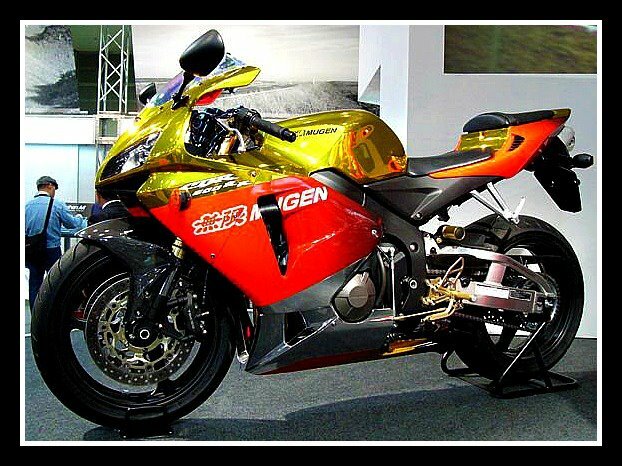 We were really impressed with the way the Kawasaki ZX-10 performed and wondered what bike would be used for the sequel. 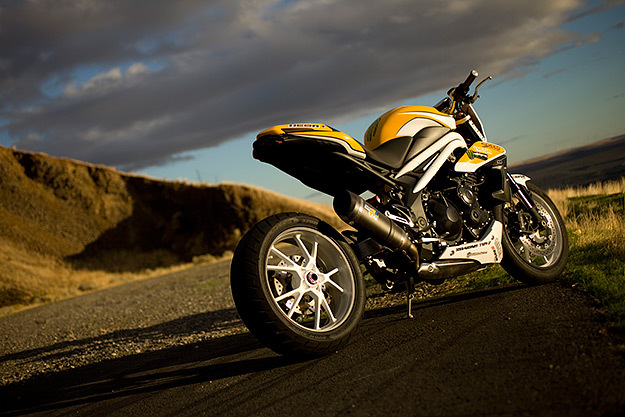 After some research, we found out that the next short film will feature the Triumph Speed Triple with an extended swingarm kit from Roaring Toyz. We can’t wait to see how this bad boy performs. 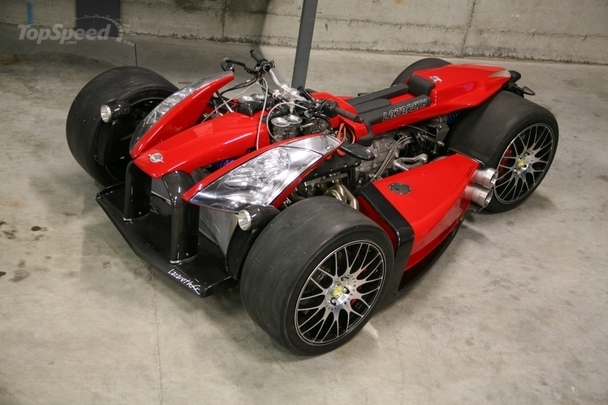 Check out the pictures and let us know what you think by commenting below. Sponsors, Icon Motosports and Monster Energy. 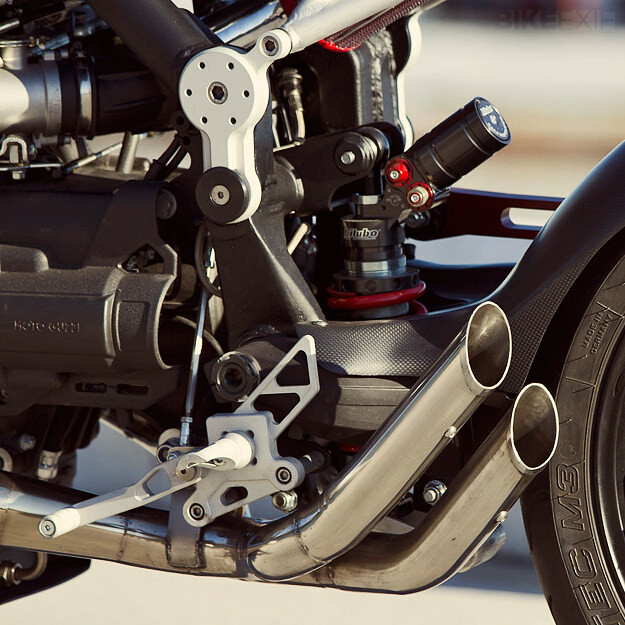 Great view of the extended swingarm by Roaring Toyz. 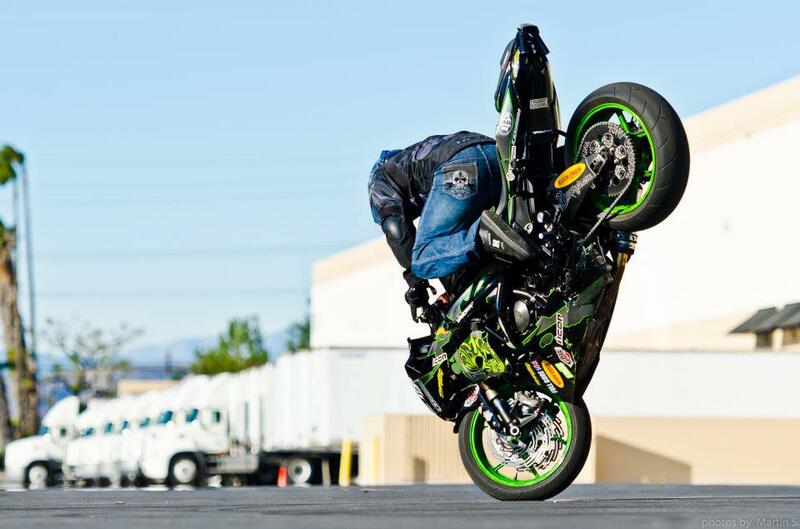 What’s better to spice up your slow Tuesday than a drifting video from a stunt rider? If you haven’t heard of Jorian Ponomareff, pay attention. 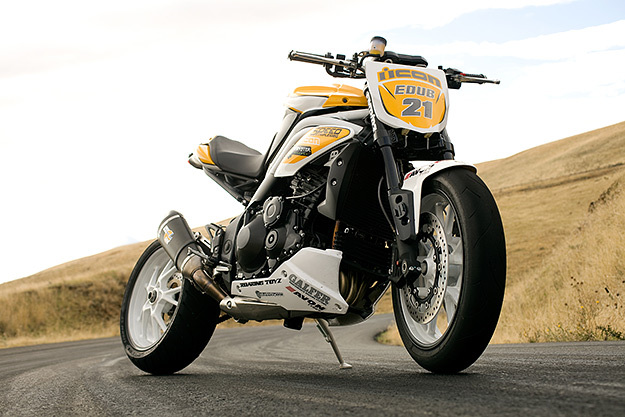 This is a name the motorcycle world will begin to recognize regularly.